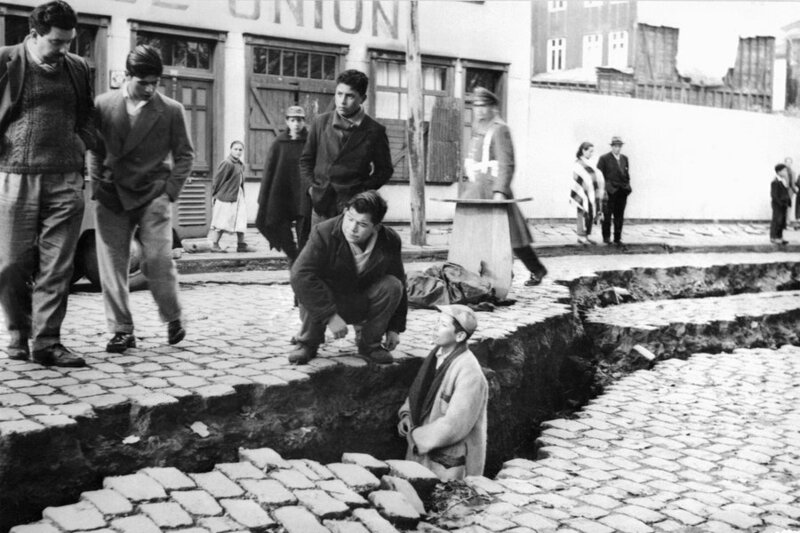 The 1960 Valdivia earthquake (Spanish: Terremoto de Valdivia) or Great Chilean earthquake (Gran terremoto de Chile) of Sunday, 22 May 1960 was the most powerful earthquake ever recorded, rating a 9.5 on the moment magnitude scale. It occurred in the afternoon (19:11 GMT, 15:11 local time), and lasted approximately 10 minutes. 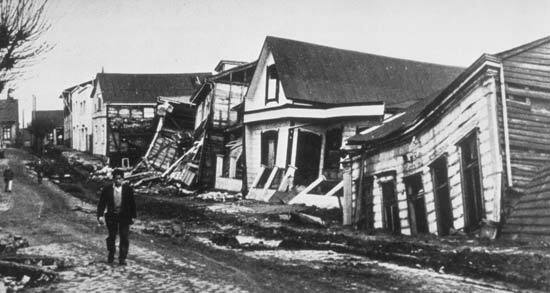 The resulting tsunami affected southern Chile, Hawaii, Japan, the Philippines, eastern New Zealand, southeast Australia, and the Aleutian Islands. 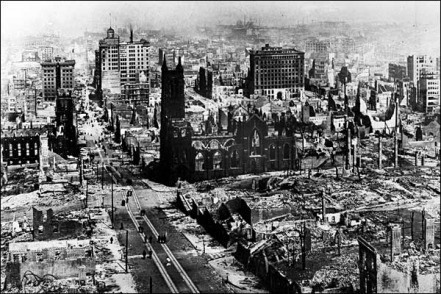 The epicenter was near Lumaco (see map), approximately 570 kilometres (350 mi) south of Santiago, with Valdivia being the most affected city. 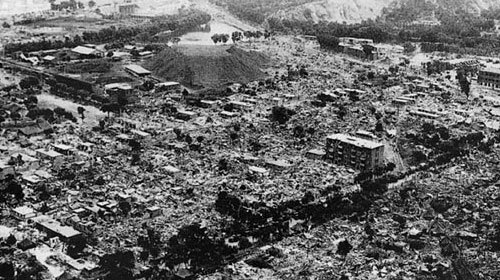 The tremor caused localised tsunamis that severely battered the Chilean coast, with waves up to 25 metres (82 ft). 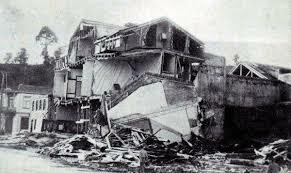 The main tsunami raced across the Pacific Ocean and devastated Hilo, Hawaii. Waves as high as 10.7 metres (35 ft) were recorded 10,000 kilometres (6,200 mi) from the epicenter, and as far away as Japan and the Philippines.